Museum-lovers will get to explore Australian National Maritime Museum and Art Gallery of New South Wales. Get in touch with nature at Dolphin & Whale Watching and Coachwood Glen Nature Trail. Change things up with these side-trips from Sydney: Valley Heights Locomotive Depot Heritage Museum (in Valley Heights), Blue Mountains National Park (Pulpit Rock Lookout & The National Pass) and Norman Lindsay Gallery & Museum (in Faulconbridge). Spend the 7th (Thu) wandering through the wild on a nature and wildlife tour. Spend the 15th (Fri) exploring nature at Bouddi National Park. 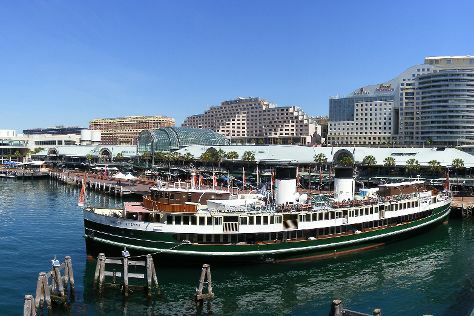 There's much more to do: stop by Sydney Fish Market, steep yourself in history at Justice & Police Museum, explore the world behind art at Brett Whiteley Studio, and take a stroll through Darling Harbour. To find other places to visit, where to stay, more things to do, and more tourist information, use the Sydney holiday planner. If you are flying in from Malaysia, the closest major airport is Sydney Kingsford Smith International Airport. November in Sydney sees daily highs of 29°C and lows of 19°C at night. Wrap up your sightseeing on the 15th (Fri) to allow time to travel back home.